In this “The Force Awakens Explained” article we’ll look at how Rey’s story actually comes from the famous mythological tale The Hero’s Journey. Why do Star Wars, Avatar, and Lord Of The Rings all follow the same story-pattern? In The Force Awakens, Rey has one of the best stories of any movie character of recent times. I’m sure you’re like me. When you watched The Force Awakens you had chills down your spine and you were sitting on the edge of your seat. Maybe, like me, you have a passion for storytelling. Actually, I have too much of a passion for storytelling, I’m aware, as I have this month’s bills open on my lap and I’m still fighting to get my new novel published. If you love stories, you may have noticed that many stories feature a very similar pattern. From Homer to J.J. Abrams, writers and directors have followed a storytelling convention called the Hero’s Journey. The Hero’s Journey was was first discovered by mythology Joseph Campbell. Avatar, Lord of the Ring, and Star Wars all follow the “Hero’s Journey” pattern. 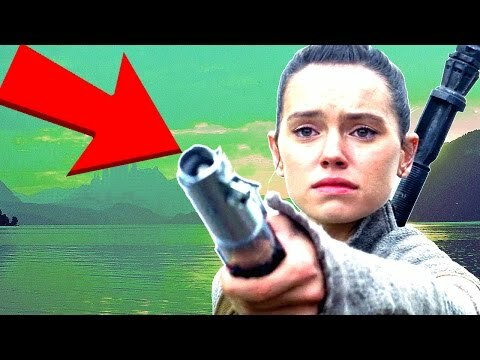 Let’s look at the Hero’s Journey of Rey. And as you read, think about all the stories you know that follow the same pattern. Leave a comment and let me know what they are. Note: If you are a screenwriter, there are many excellent screenwriting software packagaes that will help you to use the Hero’s Journey in your own fiction so you can write a screenplay faster. Many online writing courses will also talk about this. The first part of the Hero’s Journey is to introduce the hero in their ordinary world. In Avatar we meet Jake Sully before he gets his Avatar body. In Lord of the Rings we meet Frodo in the Shire. In The Force Awakens we meet Rey on Jakku. This step tells you who the hero is. The moment we meet Rey we know that she is a survivor living in a fierce world. Jakku is full of downed ATATs and other debris from past battles. Rey abseils down a Star Destroyer looking for parts to sell. Clearly, she’s down and out but also strong and a capable warrior. A similar thing happens in A New Hope. We meet Luke on Tatooine where he’s fed up with life and dreams of going on an adventure. Rey and Luke even share a very similar moment, Luke playing with his toy Starfighter while dreaming away, Rey gazing up at a ship taking off into space. Both these scenes serve the same purpose, introducing us to Rey and Luke in their ordinary lives. The only Star Wars trilogy that doesn’t have this moment is the prequels. In The Phantom Menace, when we meet Qui Gonn Jinn and Obi Wan Kenobi they’re already on their adventure, as though we’ve missed half the story. That’s one of the biggest problems with The Phantom Menace From a storytelling perspective, it may actually have been better for Lucas to completely cut out the first scenes on Naboo, start with Anakin living his normal life on Tatooine, and only introduce the Jedi when Qui Gonn Jinn and Obi Wan Kenobi get to Tatooine. He could then have covered the first act (the politics that happen on Naboo) as backstory. So step one of the Hero’s Journey is to introduce us to the character in their ordinary world. The next step of the Hero’s Journey is for the hero to receive a call to adventure. In Star Wars, that “call to adventure” usually involves a droid. Luke is on Tattooine when he hears about the princess through C3PO and R2D2. In The Force Awakens, Rey meets BB8 on Jakku. Again, The Phantom Menace is the only trilogy-opener that this doesn’t happen in, and that’s because Qui Gonn Jinn and Obi Wan Kenobi are already heroes when we meet them. In The Force Awakens, Rey meets BB8 on Jakku while BB8 is being stolen by Teedo. And at that moment Rey has a choice: ignore the situation or rescue BB8. This is the first time Rey acts like a hero. And it’s expanded on later when Rey refuses “Forty portions” for the droid. When Rey makes this choice her Hero’s journey begins. And it’s the same for all other myth heroes. Neo has to have the choice of the red or blue pill. Frodo has to have the choice to take the ring or leave it. Only by giving the character that choice can they truly become a hero. The next step on the Hero’s journey is when the hero “refuses the call”, when they say they cannot go on the adventure, they cannot complete their mission. Frodo tells Gandalf that the ring “can’t stay here”. Luke tells Obi Wan that he has to stay to help his uncle. Rey tells BB8 that he must leave in the morning. This moment speaks volumes about Rey’s character. Because the reason she doesn’t want BB8 to stay with her is because she is afraid of change. She wants things to stay precisely as they are, even though her life is obviously quite terrible (sounds like some people I know). Just like Frodo wants things to stay as they are despite the Ring of Power. This step always introduces inner conflict. Rey tries to turn BB8 away because she has to stay to wait for her family. That’s Rey’s inner conflict. In order for the character’s adventure to begin they have to leave their home. They have to leave their ordinary world. Luke has to leave Tatooine to start his adventure. And Rey has to leave Jakku to start hers. Have you noticed how the steps in the journey reflect our own steps? You and I had to leave our own homes to start a new adventure. And we might refuse the call at first, like Rey does. When I was back home in England life was easy but I’d toured all over England on stage and I wanted to do something different. I longed for adventure as Rey and Luke did. Then I heard the call to adventure. I actually started chatting with a girl in Canada. I longed to go to Canada but also feared leaving home. I passed the threshold when I boarded a flight out of England. And I’ve lived in Canada since. Funny how the story of a regular guy mirrors the story of a mythological hero, hey? Rey must pass the threshold. She must leave Jakku to begin her adventure. And so Rey and Finn climb aboard the Millenium Falcoln and blast off to outer space. And as they journey into outer space, you and me gaze at the screen longingly and think, “Sigh. I need to go on a jourey”. But hey, that’s what Fiction Earth is for. We take you on a journey every day. The next step of the journey is a real time of development for the protagonist. At this stage, the hero will meet all sorts of characters. And those characters will test the hero. One of the main ways characters test the hero is by appearing to be misleading them. Han Solo seems like an enemy when Rey meets him. He waves a gun at her. But then she learns that he’s a friend. And that is precisely what happens with Frodo and Aragorn in Lord of the Rings, Aragorn appearing an enemy and becoming a friend. Finn appears to be a friend at first. Then hiis truth comes out and Rey is made to question him. But she decides to trust him. Characters like this test the hero. As each member of the Fellowship tests Frodo in Lord of the Rings, each character tests her too. And it’s the same way in myths throughout the ages. The purpose of this part is to show the reader or viewer how deep the fictional world is. One of the best parts of The Force Awakens is how deep the Star Wars galaxy appears. It’s easy to see how Rey can get lost in this menagerie of enemies, allies, friends, and mentors. And as we see her meeting all these characters we get a real sense of the breadth and depth of the Star Wars universe. If a character is to become a hero, someone will have to teach them. Gandalf teaches Frodo. Obi Wan teaches Luke. Grace teaches Jake Sully. Only through these mentors can the hero learn the skills and wisdom they need to complete their mission. Rey actually has several mentors in The Force Awakens. The first and most important is Han Solo. When Rey meets Han Solo aboard the Millenium Falcoln she finds a sort of father-figure, or guru, who himself has taken the hero’s journey and who can help Rey to grow. Han Solo then introduces Rey to Maz Kanata, who has lived long enough to see the same eyes in different people. Maz Kanata helps lead Rey down the right path by telling her about Luke. Did you notice how similar Maz Kanata and Yoda’s roles are? That’s because they are both mentors. Maz Kanata and Han Solo are Rey’s most important mentors. But (Yoda voice)… there… is … another…. The other is Kylo Ren, who threatens to become a dark-mentor when he offers to show Rey’s the nature of the Force. These three characters all represent ways in which Rey could potentially grow. And we wont know which path she takes until later in the trilogy. By this point, the character has left their home and begun to learn their power thanks to their mentor. In the next step the hero will be challenged as they visit “The Inmost Cave”. The “Inmost Cave” is the part of the journey in which the hero overcomes their innermost fear. The purpose of this is to have the character overcome themselves. This scene usually takes place either in a cave or in some sort of dark room or pit, a location that symbolically represents that dark place within our minds. Imagine going face to face with your deepest fear. For me, that would mean facing the fear of dying alone, my biggest fear. Overcoming that fear is the purpose of this step of the journey. In Empire Strikes Back, Luke goes down into the cave on Dagobah where he sees his deepest fear—that he will become Darth Vader. In The Force Awakens, Rey finds Luke’s lightsaber. The moment Rey touches Luke’s lightsaber she has her terrifying (and amazing) vision. She sees her family leaving, and then she sees the Knights of Ren. In most myths, the hero character passes the test and overcomes their fear. But Rey actually fails this test at first. When Rey finds Luke’s lightsaber she fears it and runs away from it. And that leads us to the next step of the journey. You remember that we said that the hero will refuse the call to adventure? And that Rey did that when she told BB8 to leave in the morning? Well; Rey actually refuses the call twice. The second time Rey refuses the call is when Maz Kanata tells Rey to take Luke’s lightsaber. Rey refuses Maz Kanata’s request and runs away. In most myths, the hero refuses the call only once. So why did J.J. Abrams do it twice? The answer is that by refusing the call twice Rey shows us that she truly is afraid of her destiny. Her destiny scares her. She’s not the archetypal hero ready to face any fear. She’s very human and very vulnerable. Imagine if Rey had just said “Yeah, cool, Luke’s lightsaber”. She would be just your typical run-of-the-mill hero. Instead she runs away from it. And with that one act we get the impression that perhaps Rey isn’t as strong as we thought. This achieves two things. Firstly, the first time you watch The Force Awakens you think, “hmmm… maybe Rey really isn’t strong enough. The first time you watched The Force Awakens did you think, for a momemt, “Maybe Finn will be the Jedi in this one”. If so, you probably though that because Rey refuses the call twice, essential telling us that she really is not ready, yet, to become the hero. Do you ever get the feeling that you want to protect Rey? Me too. That’s because she is so vulnerable, and it’s her fear that makes her vulnerable. By now, the hero has left home, discovered a new world, found a mentor, and overcome their fear. The next step in the hero’s journey is for the hero to overcome their first big test. In Fellowship Of The Ring, the Fellowship must survive the wraiths on Weathertop. In A New Hope Luke, Leia and Han must escape the Deathstar. In The Force Awakens Rey must face Kylo Ren, the first time, and escape her cell at Starkiller Base. This stage of the journey is not about victory, though. Luke, Leia and Han don’t destroy the Deathstar while they’re in it. Frodo and the Fellowship don’t kill the wraiths. Rey doesn’t kill Kylo Ren. This step isn’t about victory. It’s about truly launching the hero into the fight against evil. And it’s the first time the hero tests their new found strength. At the next step of the journey the hero will have the opportunity to run back home, to return to their ordinary world. In The Lord Of The Rings, after Frodo is wounded on Weathertop and taken to Rivendell, he has the opportunity of turning back. He’s fulfilled his mission and could call it quits. In A New Hope, after the gang escape the Deathstar they all have a chance of turning back, and it looks for a moment like Han will do precisely that. In The Force Awakens, Rey meets Finn, Han and Chewie and the gang have the chance to leave Starkiller Base. But Han points out that the X-Wing pilots are struggling to take down the weapon and that they need help. So the gang head back into the base. This step leads to the climatic point of good versus evil. Having overcome the ordeal, the hero will be rewarded, often with a weapon, sometimes with knowledge, sometimes by meeting a new character. This is the scene where Frodo gets the Mithril. It’s when Harry Potter gets the Sorcerer’s Stone. It’s when Kirk is made Captain of the Enterprise. The Reward is a powerful item that helps the hero overcome the enemy. Think video games. You get the big gun, you kill the bad guy. Rey need the lightsaber to take down Kylo Ren. The lightsaber is the reward for her journey. Masterful storytellers like Lawrence Kasdan, who wrote The Force Awakens with J.J.Abrams, make the reward symbolic. Obviously the lightsaber is a weapon. But it’s so much more. Cinematically it’s Rey taking up Luke Skywalker’s mantles. It’s the moment she finally overcomes her fear and fulfills her destiny. And it’s the path that leads her to connect with the force a few scenes later. There are so many great rewards in movies. What’s your favorite “Reward?”. Oh, actually… what s your favorite reward, excluding lightsabers? Leave a comment. The next step of the journey is The Resurrection. This is the climactic scene in which the hero faces the evil enemy and either wins of succumbs to them. It’s where the Fellowship face the Uruk-Hai. It’s the Assault on Yavin. It’s Giu Gonn Jinn and Obi Wan versus Darth Maul. In The Force Awakens, it’s the second time Rey faces Kylo Ren. This final battle, however, is about a lot more than a simple tussle between good and evil. And the risk far exceeds that of the hero’s life. Rey, having overcome her fear and with Luke’s lightsaber in hand, fights Kylo. And it’s a very symbolic fight. Symbolically, this is Rey and Luke fighting together (because Rey has Luke’s lightsaber). And because Rey is with Luke she is not alone, like she was in Jakku. So the symbolism of this fight is about how Rey finds her strength when she finds her true home, not on Jakku, but with Luke and the Jedi. Usually in a trilogy the hero will lose this fight the first time around. That way the evil entity is still alive to cause troublew in the sequels. But Rey defeats Kylo Ren and could kill him when Kylo Ren is saved by an earthquake as Starkiller Base is ruptured. The final step of the Hero’s Journey is for them to return with the Elixir, the weapon, person, tool, or wisdom that will change their world. But the road back is not always a simple case of packing your bags and heading home. Home changes. I learned that personally when I moved country. Rey learns it at the end of her story. Rey now knows that her family are never coming home. But she has a new family. She is now part of the Rebellion. Her road home is not a road back to Jakku, it’s the road back to the Rebels, to Leia, Chewie, and Finn. This moment can often be a tear-jerker in a movie. Because it reflects how we all feel. We all wish we could go back to our old home, sometimes, don’t we? Sometimes I wish I could go back to England and my family. But life moves on. Homes change. Mine did. Rey’s did. Rey’s home is now with Leia, Finn, Chewie… and Luke. And actually, speaking of Rey and Finn. Some people think Rey and Finn will fall in love. From the point of view of The Hero’s Journey, however, this does not make sense. If you’d like me to make an article or video about why a Rey and Finn love story wouldn’t work, leave a comment. When the hero returns home, they return with the Elixir, the weapon, item or element that the hero needs in order to become their true selves. In The Force Awakens, Rey returns with Luke’s lightsaber. It’s what the entire movie has been about. And with the lightsaber she can finally find Luke. And then we get that breathtaking scene when Luke gazes down at the lightsaber and we’re left wondering who will keep it, Rey or Luke. And that leaves us with a fascinating question. Most fans presume that Rey will get a new lightsaber and that Luke will have his back. But is this the case? Throughout The Force Awakens, Luke’s lightsaber acts as a symbolic passing-of-the-guard. If Rey gives Luke his lightsaber back, it will ruin part of the poetry of the movie. The entire point is that the lightsaber represents the hero, and Rey is now the hero. That’s why Luke should refuse to take it back and, at the beginning of Episode VIII, should tell Rey that it’s hers now and that it’s her time to be the main Jedi. What do you think? Leave a comment.